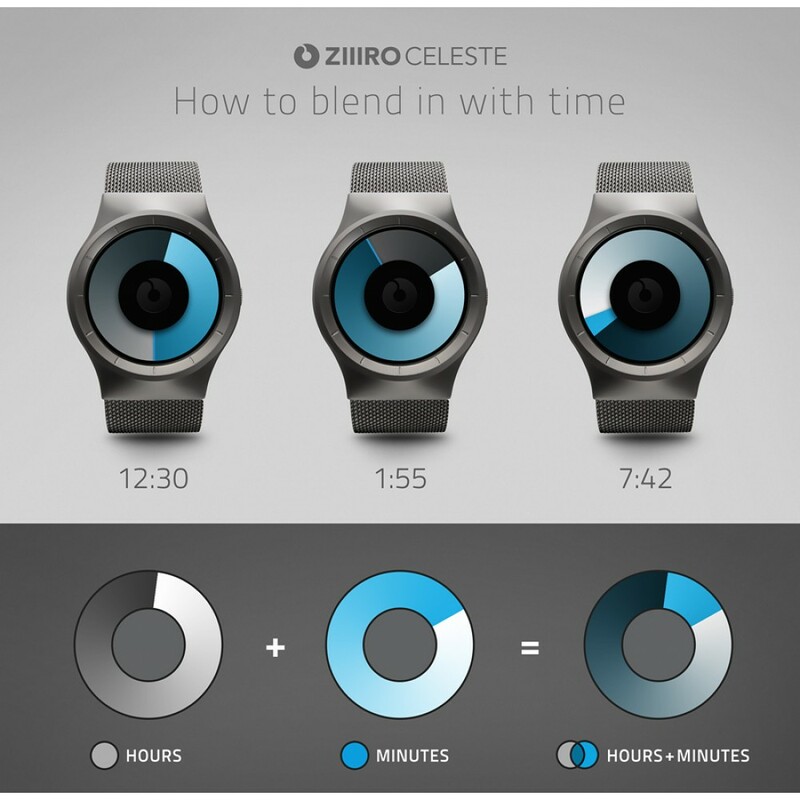 The Celeste combines the beauty of color and form by display time using two transparent colored discs. Overlapping both discs creates an array of stylish blue and purple. 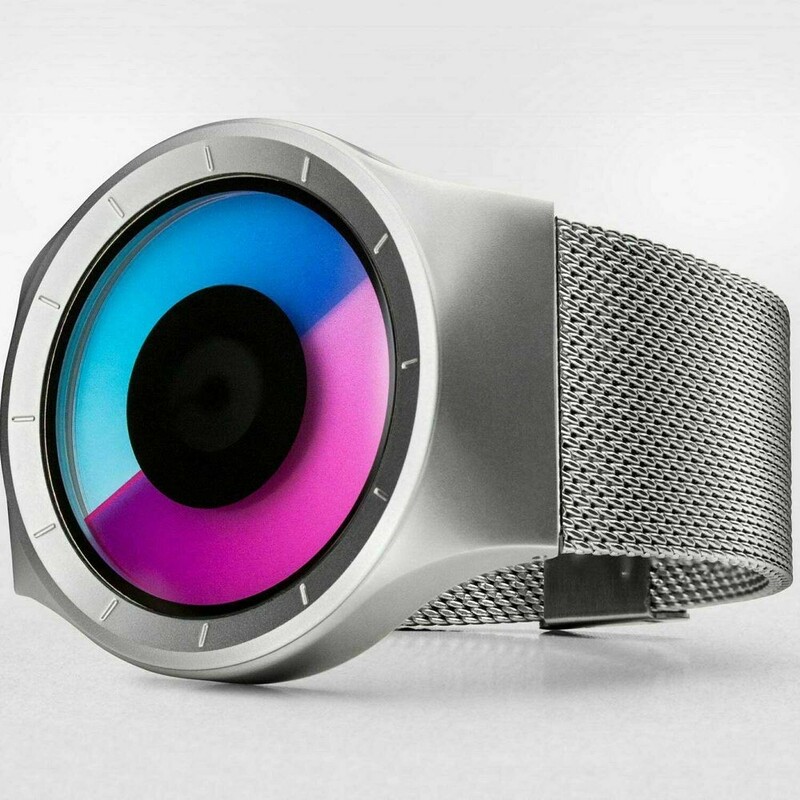 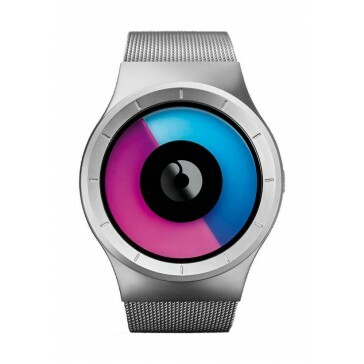 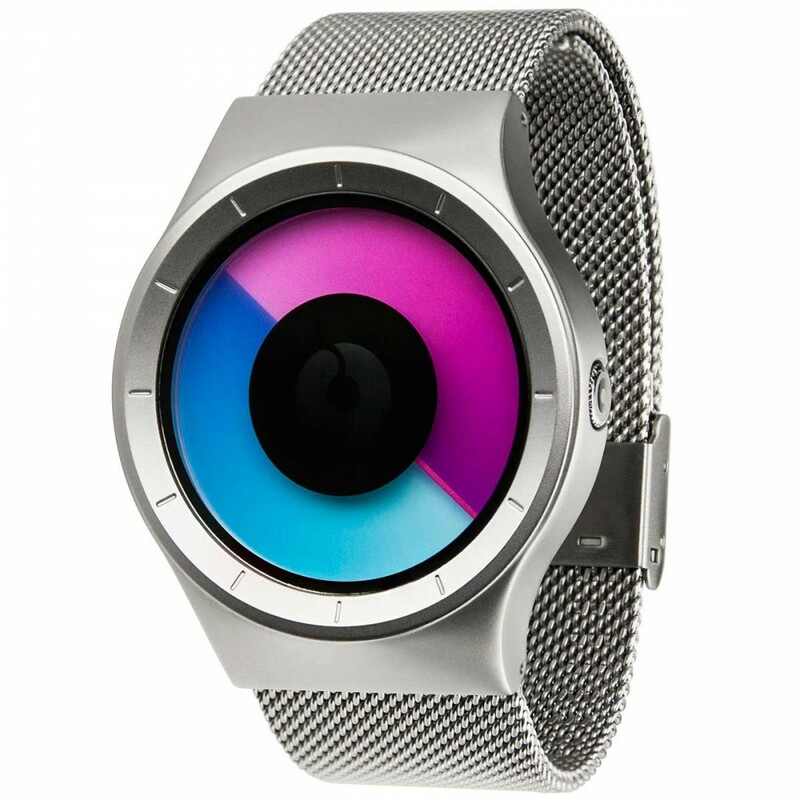 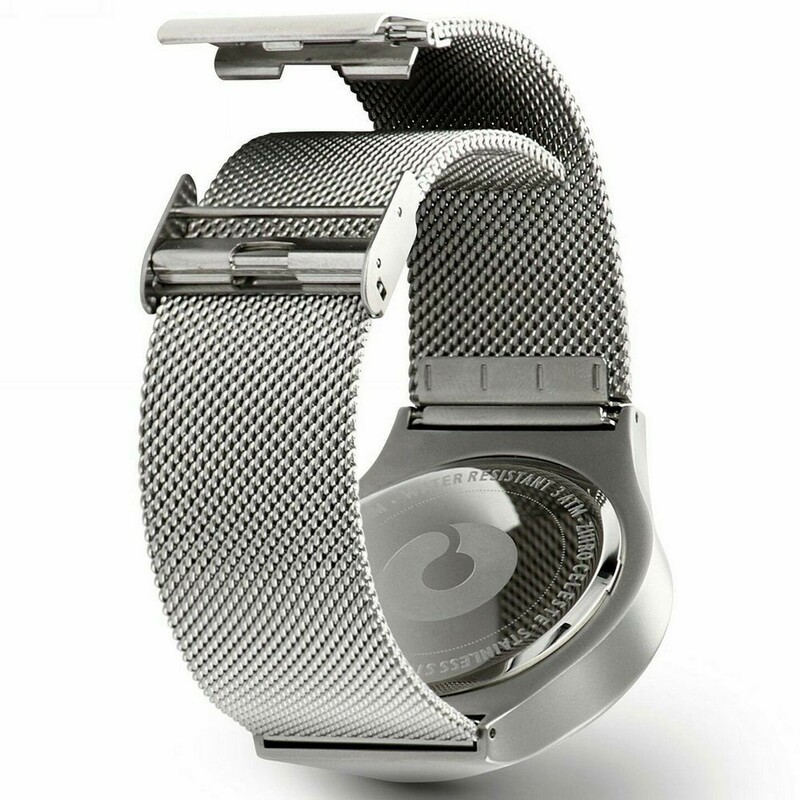 Comes together with a matte stainless steel casing and strap.